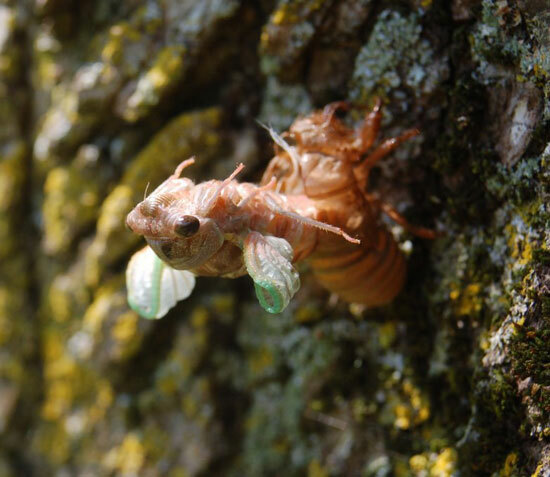 The tree in my back yard was littered with abandoned exoskeletons, but I managed to snap a few pictures of this guy emerging. This first one is after he was fully out. I have another of him in the process of emerging if you're interested. Thanks very much for the nice photo of a T. canicularis female. It is at the stage known as a teneral. It would have darkened up significantly and then fly off. Females unfortunately don't make any sound. The males however sing in the trees. I liken the calling song of a male T. canicularis to sounding like a buzz saw on helium. This is one of two common species found in your area. Thanks very much for sharing I will add the data to my database. Thanks for the reply and information, Gerry! 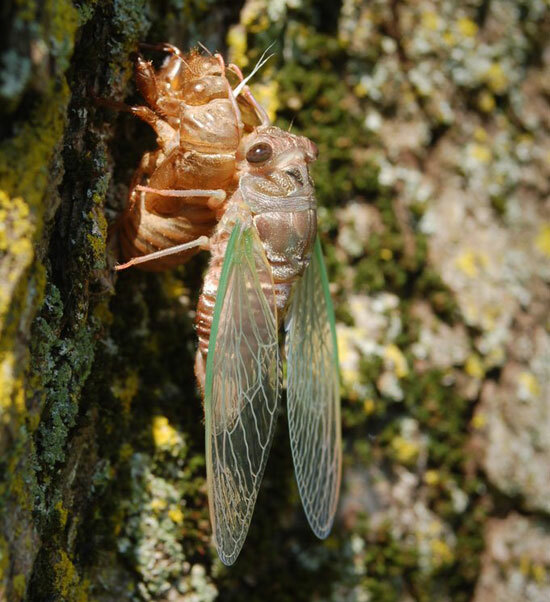 Attached is one of the pictures I got of this Cicada actually emerging - I guess I was lucky enough to be there at the right time! Very cool photos. Yes, T. canicularis are unusual because you can sometimes find them emerging in the middle of the day, not like our other species, for those you have to start looking around 10:00 pm at night.